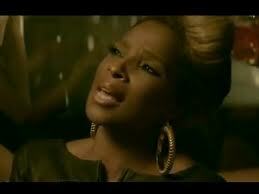 It might be the strongest track we have heard from the soul Diva Mary J. Blige in a while. Teaming up with the biggest hip-hop mainstream gangsta/teddybear/smooth talker Rick Ross, Mary J. Blige, finds herself with what sound to us like a good idea but a weaker track that it could have been. Forgetting the art of melody and verses to underestimate our skills as an audience by repeating over and over and over again the refrain, Mary J. Blige seem to fall in love once again with her on voice as we where expecting a song.As the sound is here and the video fits the standards we wonder if anyone on top of the black music scene feels like learning from people such as Bobby Womack or Andy Bey…. What u think ?